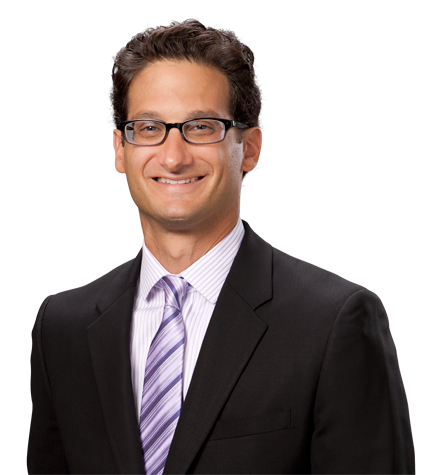 Greg Klein is co-chair of the firm's Transactions practice and serves as a member of the executive committee. Recognized by Chambers USA as a "leading individual" in Corporate/M&A and praised for his "high-end legal advice coupled with strategic and business insight," he focuses on private equity transactions, mergers and acquisitions, and related corporate matters. Greg builds long-term relationships with his private equity clients and advises them on all stages of their investments, from inception to realization. Responsive and efficient, he works with clients to identify goals, assess risk, and tailor a legal and business strategy focused on making deals happen in a timely manner. As former general counsel for Archive Inc., a business-to-business software company backed by venture capital firm Mayfield Fund, Greg has firsthand knowledge of the day-to-day business issues his clients face. Greg’s experience includes transactions in the renewable energy, media and entertainment, healthcare and hospitality sectors, among others. Over the years, he has represented private equity funds, venture funds, hedge funds and other institutional money managers such as Beach Point Capital Management, Angeles Equity Partners, Renewables Resources Group, and Genstar Capital. Committed to serving his community, Greg provides pro bono legal services to Bright Star Schools, a nonprofit organization that operates charter schools serving underprivileged communities in Los Angeles. Greg Klein Named to List of Top Dealmakers in U.S.
Named one of the 40 “Most Influential M&A Advisors” in Los Angeles by the Los Angeles Business Journal. Recognized as one of California’s top 20 attorneys under 40 years of age by the Daily Journal. Named one of the 40 most prominent men and women in deal making under 40 years of age by Investment Dealers' Digest Magazine. Consistently named to the Southern California Rising Stars list in mergers and acquisitions.